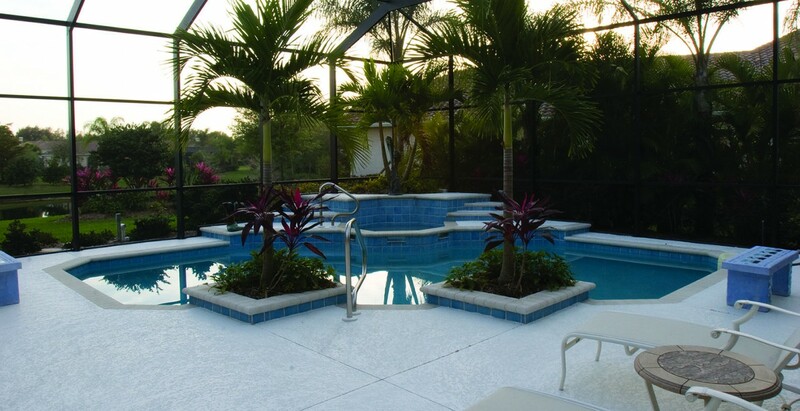 An outdated architectural pool remodeled into an award winning outdoor designed lagoon paradise. 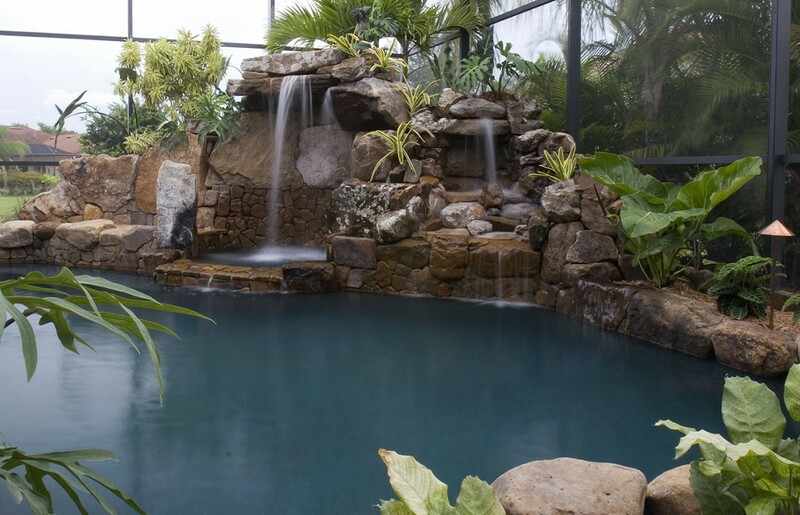 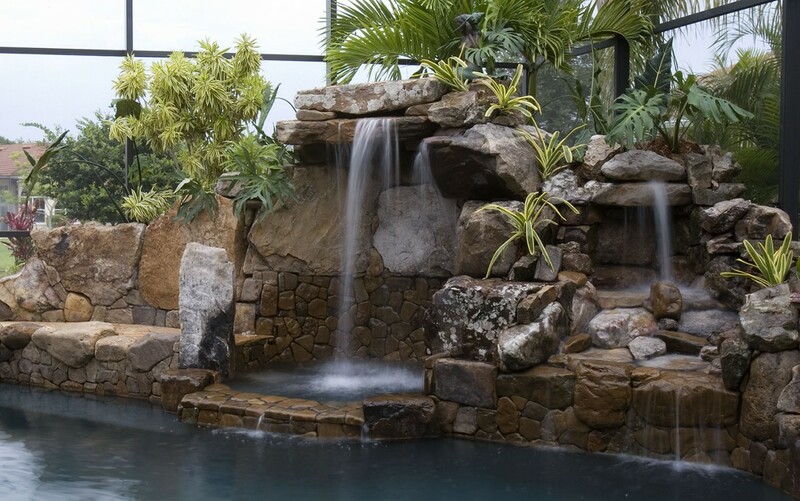 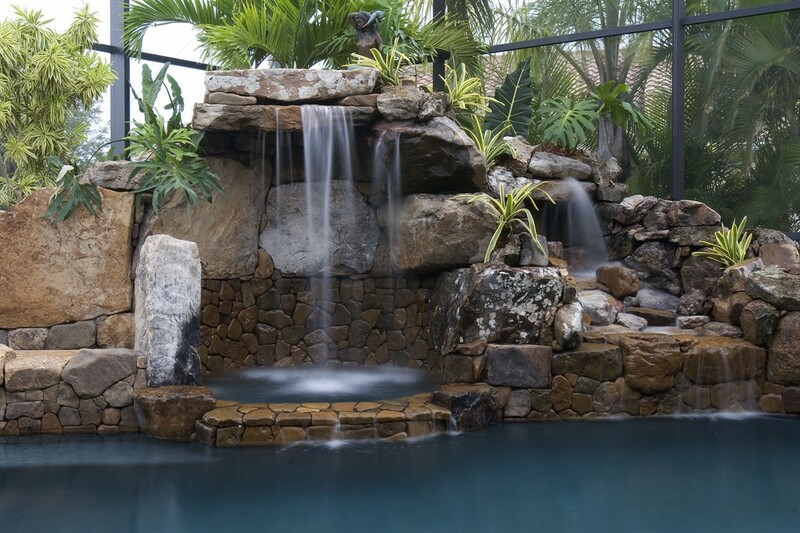 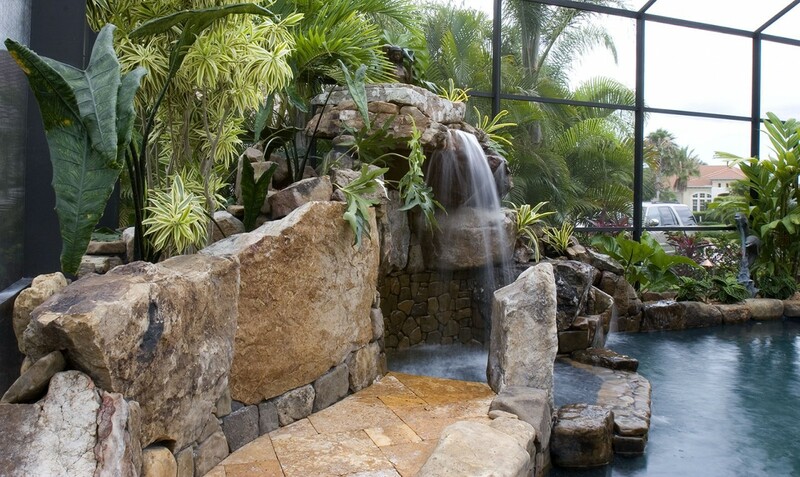 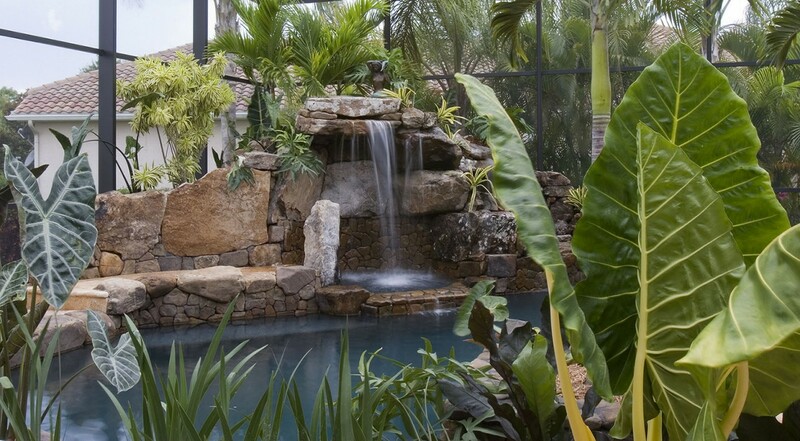 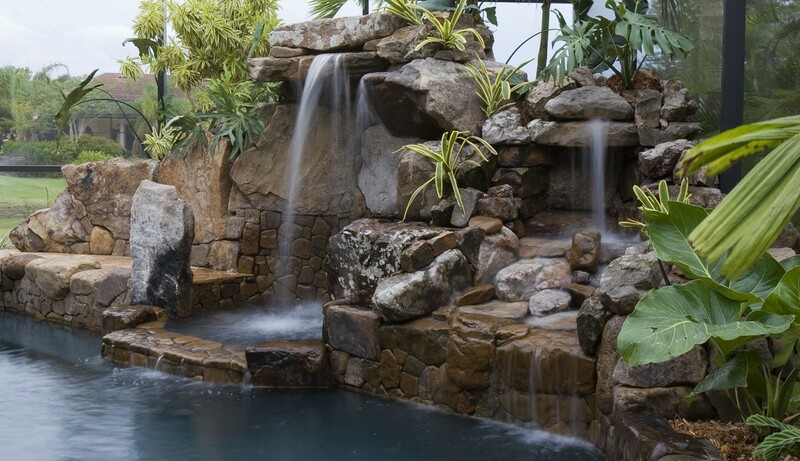 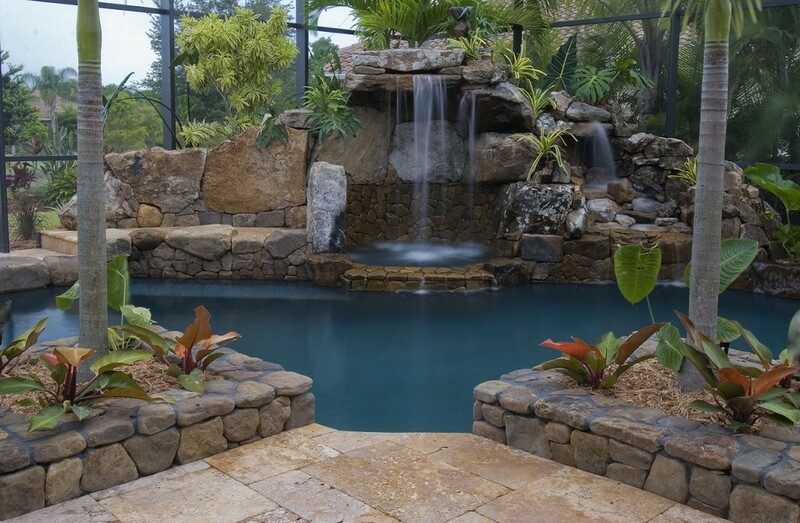 Complete with stone boulder grotto waterfall cascading into the spa, continually flowing into the lagoon pool. 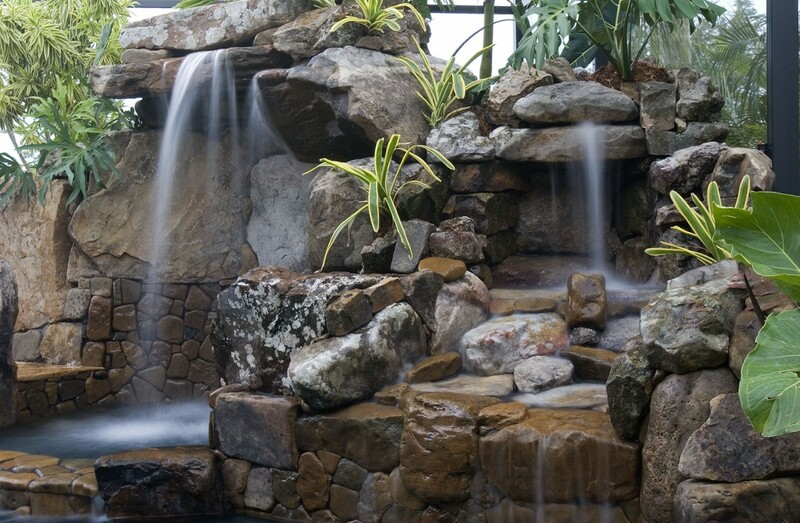 A stone stream flows alongside the grotto waterfall spa into the lagoon pool.